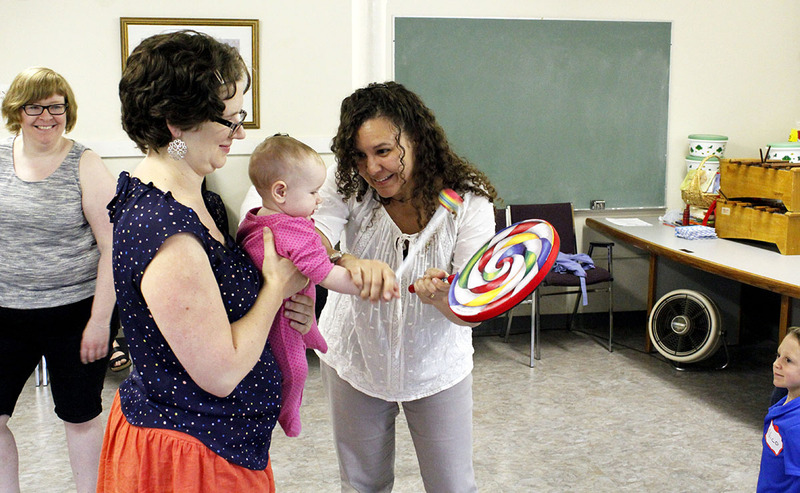 The Suzuki String School of Guelph is now offering the Suzuki Early Childhood Education (Suzuki ECE) program for babies and toddlers with SECE teachers Kelly Williamson and Carmen Evans. Following the Suzuki philosophy of education - often referred to as the “mother tongue” method - children listen daily to the CD of folk songs and rhymes. Parents and children naturally enjoy singing the songs and saying the rhymes together at home, as well as in the class. 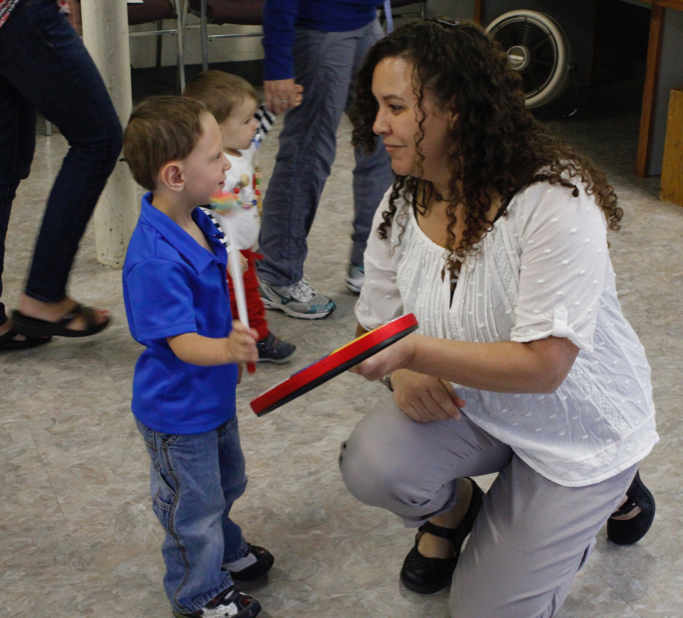 Through repetition and with the encouragement of parents and teachers, small children develop the ability to maintain a steady beat, play simple rhythms, match pitch with their singing voices, and steadily build their vocabulary. They also develop inner confidence and learn how to share with other children. Demonstration classes were held at the June 10 Canada 150 celebration at the Guelph Youth Music Centre and we got lots of positive feedback. Registration will start in August. Info is available on our FAQ handout and on the Suzuki Association of the Americas website. If space allows, families may join in partly through the course of a session. Fees will be pro-rated as of registration date. After over 30 wonderful years of Guelph Orff Studio and Orff-Suzuki Music Moves, our beloved teacher, Karen Haack has retired. Thank you, Karen for planting the seed of the love of music in so many generations of Guelph children. You have been an incredible driving force in early childhood music education in our community! Your gentle, kind, whimsical and fun personality will be missed and fondly remembered by everyone you touched. Karen will continue to teach piano in her home studio.